The #MeToo movement empowered women to stand up against well-known, powerful men who, at the very least, acted boorishly and, at worst, acted criminally. Most people are familiar with the gender imbalance found in science, technology, engineering, and mathematics (STEM) fields. Boorish behavior, according to Christopher Mims (@mims), had a lot to do with creating this imbalance. “Sexism in the tech industry,” he writes, “is as old as the tech industry itself.” He goes on to relate a story about a woman in the UK government who, in a 1959 memo, was described as having “a good brain and a special flair” for working with computers. The memo directed her to train two men to work with computers. Mims reports that despite her obvious expertise, “a year later the men became her managers. Since she was a different class of government worker, she had no chance of ever rising to their pay grade.” Opportunities for women in STEM fields has not kept pace with advances in those fields. “Today, in the U.S.,” Mims reports, “about a quarter of computing and mathematics jobs are held by women, and that proportion has been declining over the past 20 years.” I’m convinced no country can achieve its greatest potential if it systemically ignores the potential contributions of half its population. This is as true in STEM fields as in other areas of human activity. I would like to see a movement that sparks the interest of young girls in science, technology, engineering, and math — a movement empowering young girls to enter fields currently dominated by men. 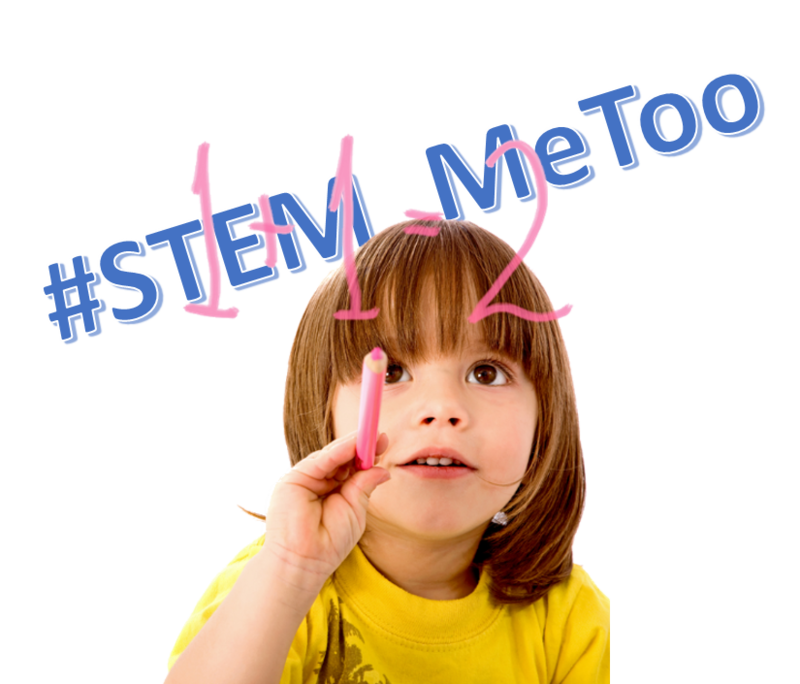 I would like it to be a positive #STEM_MeToo movement rather than a backlash for past wrongs. The following infographic provides a good overview of where things stand today. Since I’m in a technology industry and live in an area surrounded by technology companies, I, along with a few colleagues, founded The Project for STEM Competitiveness. Our goal is to help introduce new ways of getting students interested in STEM subjects by supporting extra-curricular activities that involve students in solving real-world problems using skills they learned in the classroom. Getting more girls interested technical subjects was also a specific objective. Below are some other suggestions subject matter experts have proffered to get girls interested in STEM. Christopher Mims, “The First Women in Tech Didn’t Leave — Men Pushed Them Out,” The Wall Street Journal, 10 December 2017. Ben Paynter, “We Need More Women In STEM: The Girl Scouts Want To Help,” Fast Company, 12 December 2017. Monica Eaton-Cardone, “Do we need to push girls into the world of STEM?” Economia, 29 November 2017. Amanda Sullivan, “Breaking Gender Stereotypes Through Early Exposure to Robotics,” Education Week, 15 December 2017. Kristen Fudale, “The 2 stages of successful early STEM education,” eSchool News, 6 September 2017. Meghan Bogardus Cortez, “3 Ways to Get More Young Women Interested in STEM,” EdTech, 21 September 2917. Robert Ballantyne, “Mentors boost female confidence in STEM education,” The Educator, 13 December 2017.